When I started martial arts training I was overweight and completely stressed out. 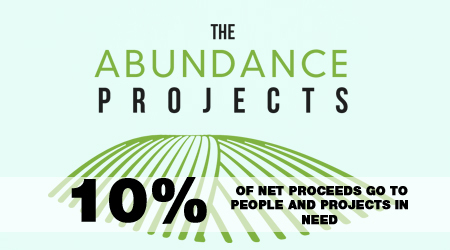 I knew that I needed a change in my life for the benefit of my family and others. I went to my first class and after class as I walked out of the dojo, I was shaken by how poorly my body was conditioned. I had trouble with just about every exercise and technique we were given. I knew that in order to be successful I needed a personalized training program to go along with the class instruction I was receiving. Let’s talk a bit about the four areas of the human system that may need some improvement. They are defined as the Mind, Body, Spirit and Emotional bodies. 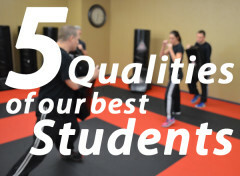 Regardless of why you are studying martial arts or any other area of life, understanding the four bodies is a key to balance and harmony in your life. The Mind is the framework of your beliefs, ego and structure of how you think and what you do. In order to be successful in Complete Shotokan Karate or any other martial art the framework of you thoughts and habits has to be in alignment with what you are doing. Holding positive thoughts and focusing on the outcome of what you want is in the Mind. I found through the process of becoming a black belt I had to change the way I thought and viewed myself and others. I quit blaming others for my problems and started focusing on what I could do to improve myself. Don’t fool yourself, you are responsible for yourself and have the choice to change and create a positive outcome for yourself and others. Among these areas we need flexibility and strength, and overall we need cardio endurance. The Spiritual Aspect of training involves engaging your awareness and BEING. This means getting in touch with the core of who you are and how you feel all the time. In training our focus is totally on that which we are doing, not only the technique, also the feeling in our body and everything around us. This type of focus and awareness stills the mind and brings peace in the moment. It takes repetition and practice just BEING the completeness of the movement we are making. I have learned over the years that this state on no-mind in the moment is a state I can command called presence. Great warriors fight in the state of presence. They do not have to think of each step, every strike, but simply execute in a very natural and fluid way! You can learn how to access this state through your training then use in in all aspects of your life. Emotions in the human body are connected to the transfer of vibrational energy moving in our body. It can be seen as an effect of a causation within our system. So if some shouts at us angrily, a cause, then we receive this energy and it is in turn generates changes in our system and creates an effect of a certain feeling in our body. Some emotions affect the body positively and others cause negative effects. We have all seen a person who is emotionally out of balance. They have large swings in their energy system and can be a drain on themselves and others around them. So become aware of monitoring your emotions. Look at them and release them. By paying attention to your emotions you can help yourself stay more positive and in balance. So early on in my training I learned to identify my weaknesses and strengths and create simple training routines that dovetailed into my class instruction at the time. You see, you need to look at yourself all the time and adjust as needed. Create a path to success by having simple routines that target weak areas and build proper techniques in your Karate skills. In the Complete Shotokan Karate home study system we have each belt level demonstrated for you. So your training program should be developed around the DVD curriculum and targeting your areas that need improvement. Warm Up and Stretching – There are lots of different warm up exercises and stretching routines that help you get up and ready to workout. 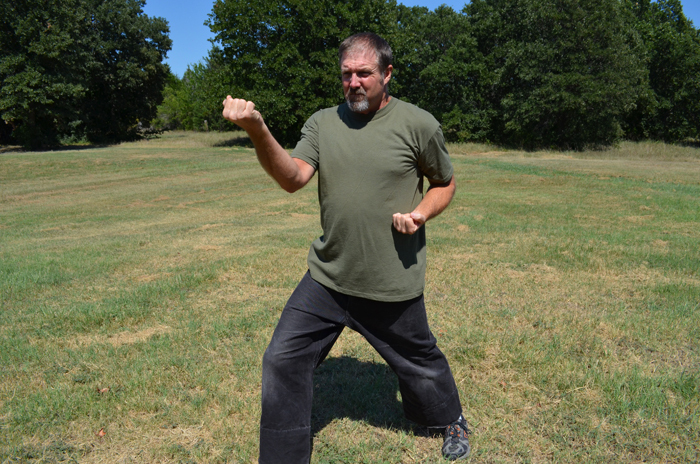 I like to use routines that cover the entire body as Complete Shotokan Karate is a total body system. Cardio and Strength – In this section you can really target weak areas in your body and promote a strong core. Running, sparring, Jump rope and walking are great ways to build up your cardio fitness. I have used light weights all the way up to a full gym to do strength training. However, you can become very strong and quick without using any weight. The best exercises are push ups, crunches, squats and pull ups. Learning the Complete Shotokan Karate for your belt level – Pay attention to the way techniques are demonstrated, review and take the time to do it right. After you have it right then use repetition to create strength, power, speed and muscle memory. After we consider our condition and how it affects the major areas of training we need to evaluate when equipment is needed or if we need a training partner for the current level of instruction. You can make it through most of the Complete Shotokan Karate course without a partner or equipment. However, I do believe it helps to have a heavy bag of some type, bag gloves and someone to help you out when you get into the advanced levels. How long are workouts and how often do we need them? Next we need to consider how long our workouts will be and how often we need to have them. I recommend that beginners try to train three to five days a week for 20 to 45 minutes. As you go up through the belt levels your number of days and time per day will increase. When I started martial arts, I had two 1 hour classes a week on Tuesday and Thursday. I trained at home three days, Monday, Wednesday and Fridays. Choose a Class Below and Start Training! At the end of the article we have included three general examples of Home Training Classes. These classes are simple and straightforward. These examples can be taken and modified according to your needs. As you begin to train in consideration of areas that need attention your workout patterns will change and things will fall into place. 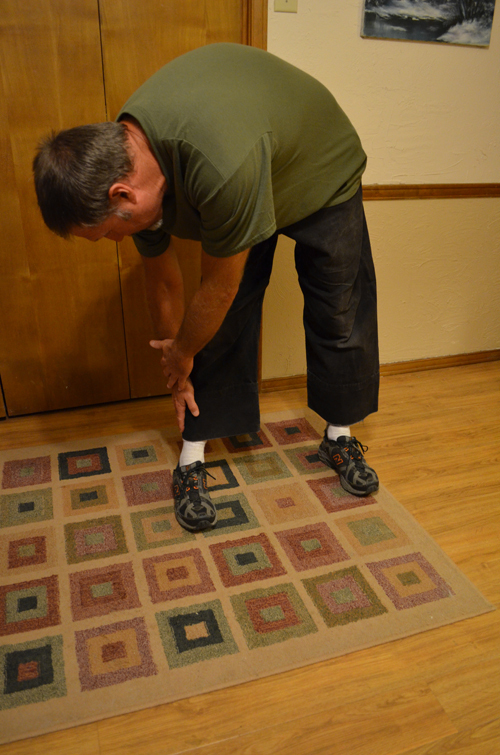 Feet together – stretch down, stretch to the right then to the left, stretch back. Feet shoulder width – stretch down, stretch to the right then to the left, stretch back. 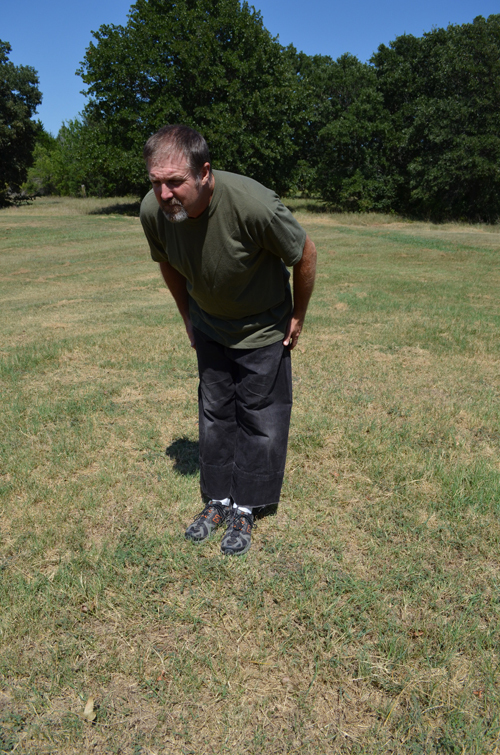 Feet past shoulder width – stretch down, stretch to the right then to the left, stretch back. Heavy Bag – Working with maximum speed and power with any technique you want. 2 minutes. Stretching – There are many great routines you can find and create your favorite stretches to meet your body type needs. Walking or Running – I would suggest if you are not already a walker or runner that you find some reading material to help you get started. Starting out to quickly and doing to much running or walking when your body is not prepared has ruined many a budding fitness career. Done correctly you can dramatically improve your cardio health and stamina. Strength Training – Light weight routines are great. I used light dumbbells for several years as a supplement to my training. After I achieved black belt I created an olympic gym at my home and did some really advanced weight training. 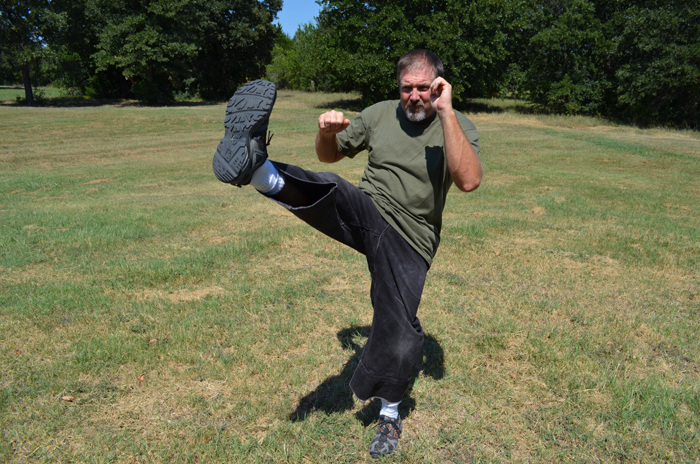 One-Steps and Self Defense – work on your on-steps and self defense by yourself or preferably with a partner. Kata Training – Very focused and intense Kata workout. 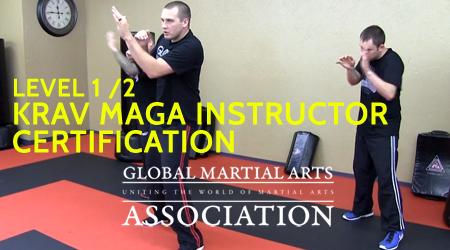 Weapons or Other – Learn a weapon like, Bo, Chucks, Sai, Kama, Etc… Or cross train in other martial disciplines. Want Even More Home Training Classes? Create a free account to get started with our world-class shotokan karate course. 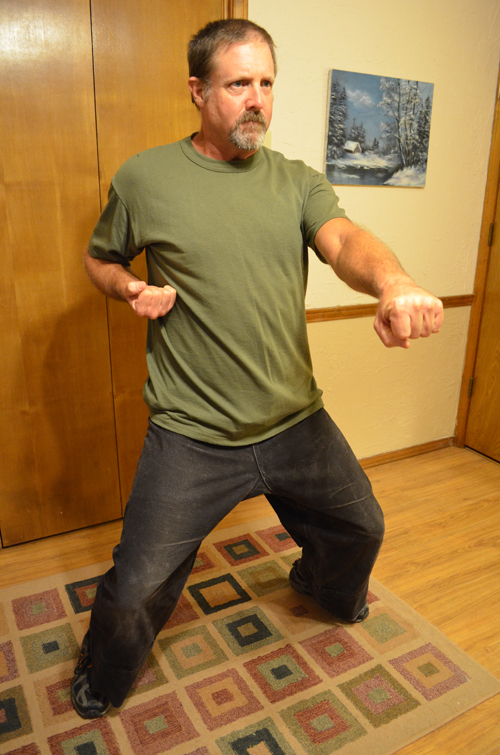 Sensei Jon will teach you the entire whit to black belt curriculum, with over 50 follow-along classes and workouts. And we keep adding more every month. Start for free and get training! Excellent article! Great insight into how to structure home study time. For marital arts study, I find it really helpful to mix it up – focus on different things on different days. I started shotokan in1997. For two years stopped then went back 2007 gained black belt 2013, why so long because every so often i deliberatly missed a grading which i think is a good thing.what i would like to know which is the best part of the system to concentrate on at home for home training.when i train at the Dojo i go an hour and a half earlier before class and i concentrate on advanced kata mainly and Basics.I just like to know again about home training. I have always tried to figure out what my weaknesses are in my martial arts and then target the weakness for improvement. In home training one has to be very responsible for examining themselves and evaluating where the work needs to be. In the Complete Shotokan system we have a defined testing and feedback loop that is in place to help target areas of improvement. When trying to improve an area make sure to that the way you are doing the technique is proper so you create acurate muscle memory. In our system the instructional video is the standard. Sometimes it is best to video yourself and take a close look at what you are doing. A video of yourself is often a real eye opener and you see things you have never noticed before. So set up workout routines for yourself that set you up for success by responsible choice of needed material. Happy Training….. Thank you for the feed back I received quite a few DVDS recently from an ex Shotokan student. One particular DVD, involved a lot of the famous Black Belt Instructors I think was filmed in the fifties or sixties, going through all the Katas from beginners and I think all the senior Black belt levels. It is filmed in silence but each Kata is shown twice. One of My favourite Kata Empi has improved ten fold. I was wondering if when I log in time in my student journal if I am aloud to log in my time spent on stretching and warm up. Or do I just log in time spent only on practice of techniqes, kata, ect. As an example, if I were to do 60 minutes total, counting 10 stretching and warm up, would I write on my student journal 50 minutes total, because stretching and warm up are not actully part of the curriculum. That is an excellent question! So, if you do a fairly short warm up, or a warm up that is specficially for your karate training, then it can be included in your journal. 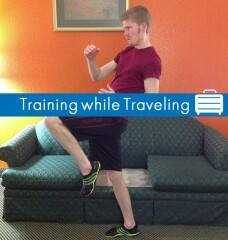 This is because, your warm up then constitutes a part of your overall karate training for that day. This only counts when there is a warm up, preceeding a karate training session. 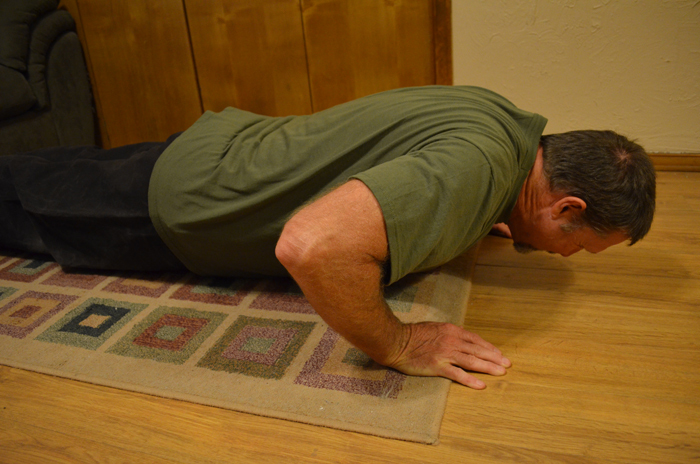 Not as a stand alone exercise workout. So, if you decide to run 2 miles on day, that is not going to be in your journal. Lifting weights, doing cardio, etc. ; does not go in your journal. But, if you do like a 10-15 minute warm up, that is truly to get your body warmed up for karate, then that can be included. Thanks for posting Sensei. It helped me to revise my “game plan”. Would you recommend any vitamin supplements to use in my training? If so, what kind? Can I do the DVD as a workout for 45 minutes and lift weights/run the next day? 5 workout pracrices-3 DVD 2 run and lift. What benefit if any for testing under your system? Yes the workout you describe is fine. At one point in my training I was lifting a lot and running almost every day along with my training. Listen to your body and workout accordingly. Testing has a benefit of increased instructor feedback and support. It also has goal setting which is important when learning so many different things over time. It gives you a plan of action and helps you develop the proper techniques. hi . i want to know if punching bag help me to do kata in shotokan. i really like to use punching bag but our sensei didn’t learn us how to use it. A punching bag is not usually used in Kata training. A punching bag is great for working on kicks and punches, developing proper technique and power. You can get a great workout in 15 min. of bag work. I recommend it. Hi hopefully you can help my 9 year old son. He has been working g on his black belt application theory questions and is stuck on two questions. What must be watched for when practicing blocks over a period of time. Is the answer to do with maintaining stances and power in the blocks? And why is gedanbarai, gyakasuki and uraken significant in basic? Hopefully you can help him to come up with the answer. He has answered the other 73 questions so he has done really well for 9. First I would like to say that you could poll a group of 7 Master Instructors on any martial arts question and get 7 different answers/opinions. I will give you my opinion on theses questions. Q: What must be watched for when practicing blocks over a period of time. A: Making sure that your support system is correct each and every time, stances, posture and alignment. Also, in shotokan we are redirecting the energy so there is a torso movement where the hip follows the block and a snap at contact to redirect the energy of the strike away. Hope this helps and good luck to you and your son!